Long the domain of sci-fi television and movies, a functional jetpack could be ready for lift-off soon. Inventor Glenn Martin has created a working prototype, and it has been approved for manned testing. Personal jetpacks have been a quirky passion of a small group enthusiasts for many decades. Now the technology could be making a big leap forward: The world’s “first practical jetpack” has been approved for human testing by New Zealand aviation regulators, according to AFP. 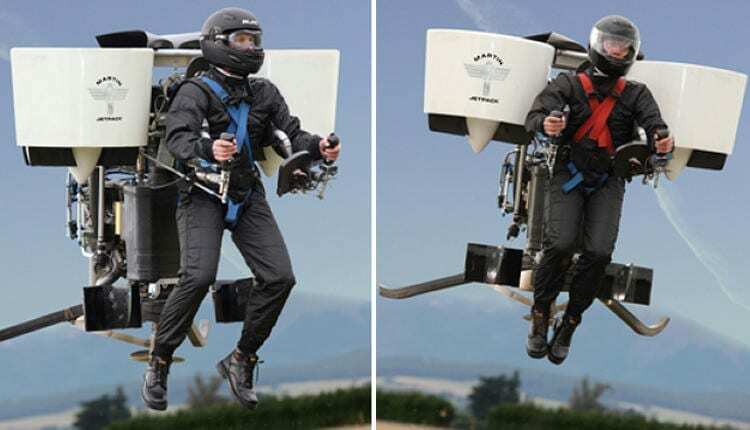 The manufacturer, Martin Aircraft, hopes to begin selling a jetpack model next year. Inspired by the TV shows Lost In Space and Thunderbirds, inventor Glenn Martin began working on the technology in his garage more than three decades ago. To use the contraption, a rider straps himself into a frame with two propulsion cylinders and controls movements with a joystick. The latest design incorporates changes to the duct positioning, resulting “in a quantum leap in performance over the previous prototype,” the company’s CEO told AFP. April 1, 2019 - » Archive » Jetpack takes off with European deals KidscreenKidscreen - engaging the global children's entertainment industry. April 7, 2019 - Swiss aviator takes jetpack flight over Tel Aviv beach The Jerusalem PostThe former fighter pilot was in Israel for the TLV Business Aviation Conference: Innovation In Aviation. March 28, 2019 - See a Literal Jetpack at the Museum of Science and Industry Chicagomag.comWired to Wear, an exhibit on wearable technology, is open now through May 2020. April 1, 2019 - Sailors could use jetpacks to ambush rival ships, says Defence Secretary The TelegraphRocket suits could be worn by Royal Navy sailors to ambush rival ships, the Defence Secretary has suggested. April 15, 2019 - Zenyara Party Turns Up the Heat on Coachella 2019 Palm Springs LifeGoldenvoice turns up the heat with its first official Coachella festival after-party at the Zenyara estate with celebs like Pusha T, Diplo, and Idris Elba. Fortnite Pirate Cannon Jetpack Bug | Why was I eliminated?